LG Electronics has announced that it is focused on providing consumers with innovative and durable products with its core technologies that has gained international recognition and patent right. Aimed at further raising the standard in innovative technology as well as providing consumer with satisfying as well as healthy and environmental friendly products, these core technologies in the home appliances are backed up with 10-year Warranty. “At LG, we understand that durability is just as important as strong performance. A large range of our products are backed by 10-year warranty, ensuring worry-free operation year after year. LG Electronics is the first electronic brand in Nigeria to offer a decade-long warranty of reliability on a large gamut of its product offerings. The 10 year warranty offering covers only specific parts of the selected products from the date of purchase”. LG’s revolutionary Inverter Linear Compressor which enables the refrigerator to consume 32 percent less energy and produce 25 percent less noise. Employing a linear piston drive instead of a conventional reciprocating drive, LG’s advanced Inverter Linear Compressor generates less internal friction than other compressor systems. The reduction in friction results in lower energy requirements and noise production as well as greater reliability and durability for the compressor due to the reduction of friction points. The Inverter Linear Compressor creates an optimal temperature balance inside the refrigerator, helping extend the amount of time that food stays fresh. In a test conducted by the German scientific and technical association, Verband der Elektrotechnik Elektronik Informationstechnik (VDE), the Inverter Linear Compressor was found to have an estimated lifespan of 20 years which is quite remarkable. The LG game changing Smart Inverter Compressor technology has set a new standard in the industry helping to make lives smarter and better. It has taken a revolutionary leap in compressor technology. The smart inverter compressor is one of the most advanced and energy efficient compressor. 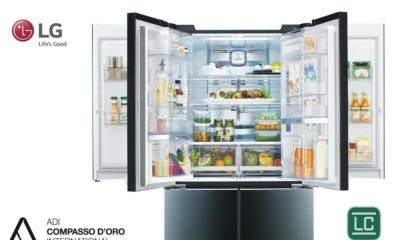 It automatically adjusts its speed to deliver cooling to match the quantity of food inside the refrigerator. By generating less internal friction and offering more precise cooling control ensuring lowering in its energy consumption. The highly reliable smart inverter compressor comes with a 10 year warranty for complete stress free usage and peace of mind. The compact design of the smart inverter compressor produces less vibration and 30% less noise compared to any other refrigerator. It easily operates within the voltage range of 115V -290V and can withstand voltage fluctuations making it absolutely stabilizer independent. 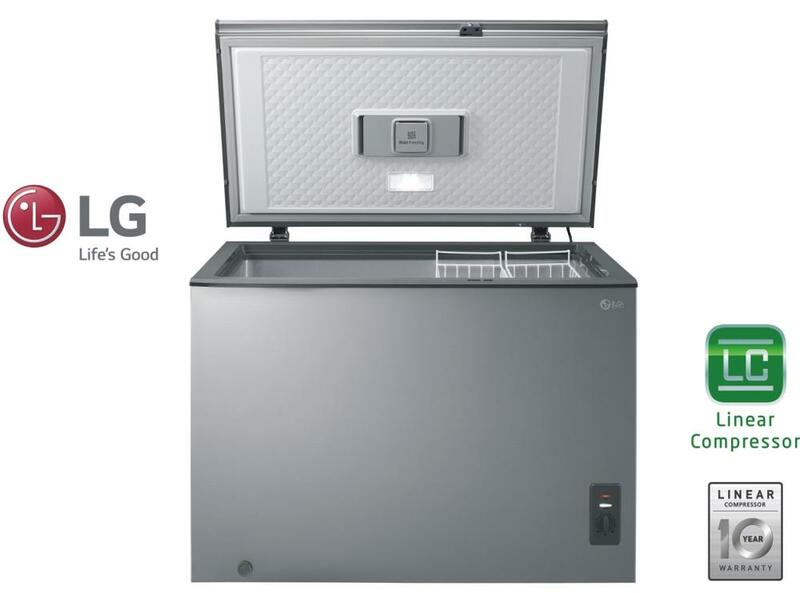 The LG Chest Freezer is the only brand in the market with 10 year warranty on its compressor; one of its unique features is the 3D cooling; these features enables even and fast circulation of cool air inside the freezer due to the in-built fan. It comes with a non-breakable handle as it has a pocket handle; users only have to slide their hand underneath the door part and pull the door up. 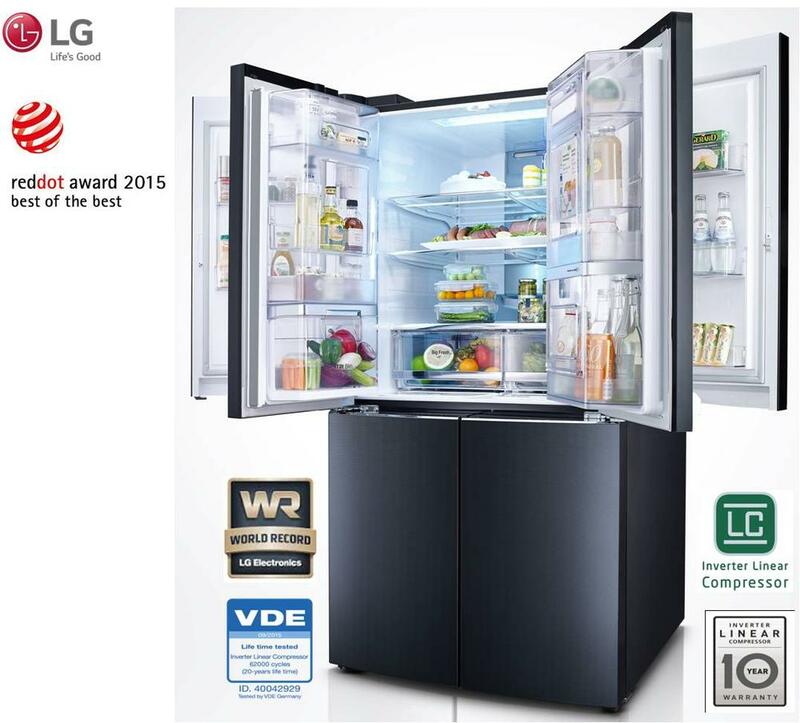 LG also believe customers sometime have to tighten their belt when it comes to purchase that is why LG backed its freezer with the Low Voltage Startability feature which means customers don’t need to buy Stabilizer to protect the freezer from voltage fluctuation. LG Chest Freezer has a stylish design and premium look, fit for consumers’ luxurious life. 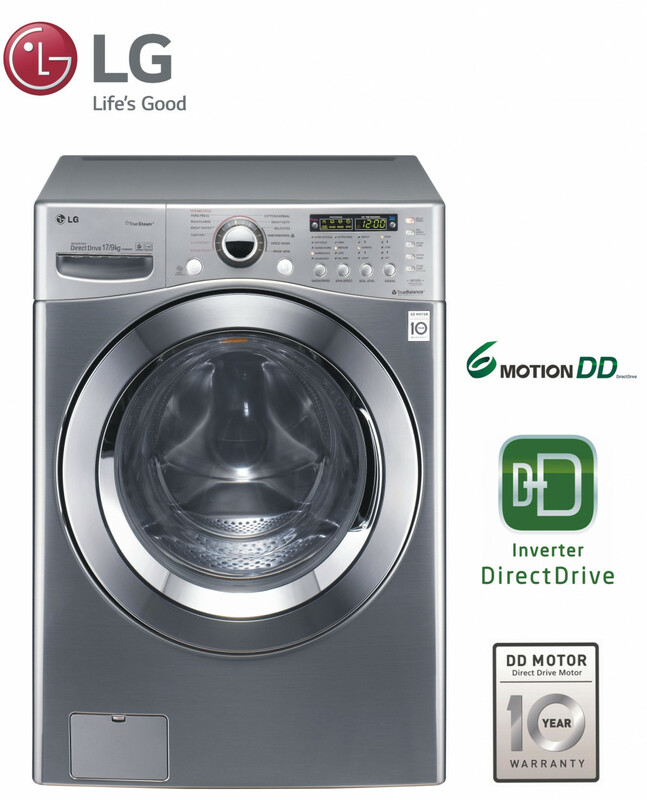 The LG Inverter Direct Drive Motor washing machine allows precise movement control insides the washing machine due to direct rotation of the blushless motor inserted into the drum directly unlike the conventional type that has belt connection between the motor and drum, this new innovation offers consumer’s energy saving, less noise and vibration and a durability of 10 year. Another core technology LG offers in its washing machine is the 6 Motion technology, the inverter inside the motor can regulate the movement of the drum in 6 rotational movement unlike the conventional washing machine that goes through just one rotational movement. The 6 different movements allow superior washing performance while caring for your clothes, no matter the fabric type, silk, wool, jean, leather, suits material etc. the clothes experiences a delicate wash to avoid damage. The technology of Smart Diagnosis in its washing machine is a direct testimony of LG’s commitment to the advancement of innovative technology, consumers can now solve most of the washing machine issues without having to pay expensive charges for technicians. They can download LG Smart laundry App on their smart phones; and whenever the issues arises, on the washer and then face the speaker part of the phone on the smart diagnosis icon, wait for three minutes to receive a solution to the problem. This reduces service calls and help users save time and resources. LG Cordzero vacuum cleaner is a powerfully designed cleaner employing smart inverter motor to guarantee maximum performance with high efficiency and durability in compact size. Whereas a conventional motor employs a carbon brush, this burns out in no due time as a result of friction over a short period of time, the brushless smart inverter motor operates on frictionless magnetic power ensuring a prolong operational lifespan. Little wonder LG is confident enough to offer a 10 year warranty on the motor. 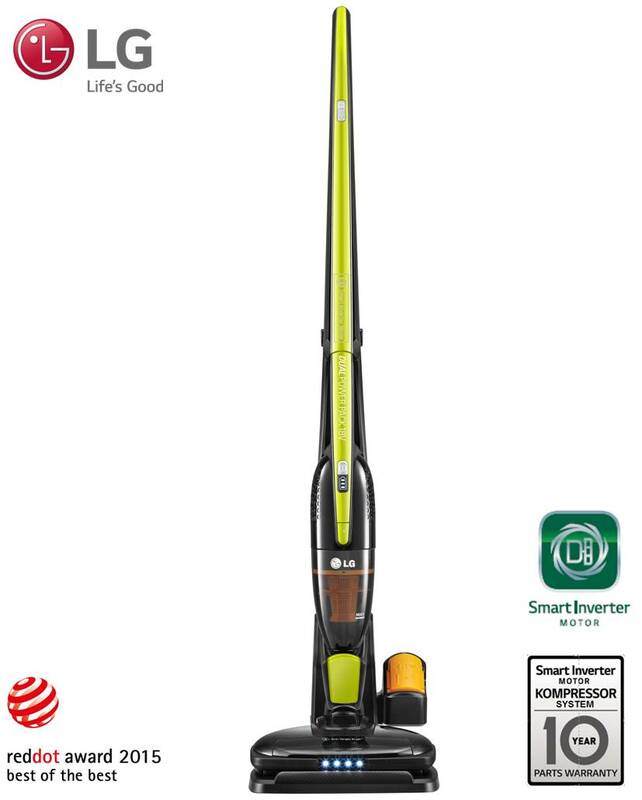 LG Cordzero vacuum cleaner offers customers cordless freedom, this means the customers get to clean all parts in the house without been limited by the vacuum cord because LG cordzero has no wire. It also has rechargeable lithium-ion dual battery pack to help you clean more than the running time of one hour. Other features are Anti-tangle brush, Built-in-Brush, Easy Grip Handle & 180oC swivel, LED Light and battery indicator. LG’s Lightwave Technology equate cooking with an art giving a natural deep even cooking within a shorter time and saves up to 55% time and 30% energy while pre-heating all this and preserving the nutrition to ensure it gives healthy food. Charcoal Lighting heater Microwave with Lightwave technology offers a multi-heating system designed to cook healthier, tastier, gourmet-standard food with the minimum of fuss. By letting food retain its natural flavors, Lightwave oven makes dishes that are crispy on the outside and irresistibly juicy on the inside. 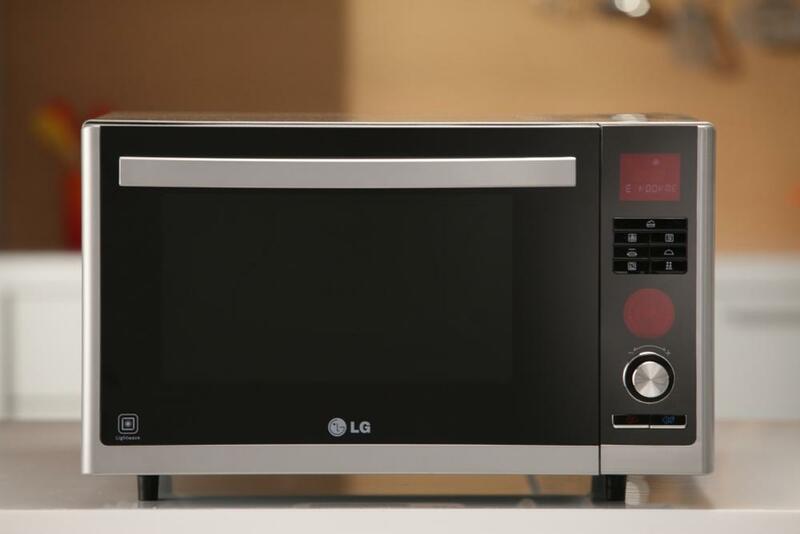 The LG Charcoal Microwave Oven is a 3 in one easy to use kitchen appliance. This microwave oven presents you with a number of cooking options -Microwave, Grill temperature control and Active Convection. Apart from juicy meals enjoyed using LG microwaves, consumers will also enjoy the 10 year warranty it offers on its interior cavity and the charcoal filament. LG is committed to delivering products that allow users to experience life in more meaningful ways, including how it impacts the environment. 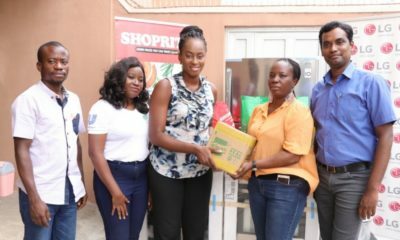 Through the introduction of the 10–year warranty on its Refrigerators, Front Load as well as Top Load washing machines, Charcoal Lighting Heater Microwave and Cordless vacuum cleaner, LG Electronics has once more indicated its commitment to delighting as well as meeting the peculiar needs of its Nigerian consumers. Do you use LG products? Share your experiences. 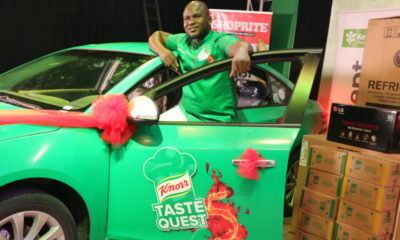 Everything gud and nice but my pocket didnt say the same……. Love LG, but i’d never forget my experience when i had slight problems with my washing machine, called and called, eventually got through to someone only to be asked to bring my WM where i bought it, that didn’t happen. Horrible customer service. Really appreciate your efforts to put this piece together. Just wanted to ask if LG has electric roti maker or not. I am looking for it for quite sometime now but couldn’t find it anywhere. You may avoid cleaning it on the pretext that it already has soap so it does not require additional cleaning but the fact is that this appliance still requires cleaning as it tends to accumulate dirt, mildew, soap scum, and bacteria. Plus, it may start smelling musty. I paid over £700 for my LG Inverter Direct Drive Motor Washing Machine after six years and two call outs for the engineer it stopped working. The machine needed a new sensor, which LG don’t make any more. How can you put a 10 year warantee on the motor then discontinue to make the other parts for the machine. Makes the 10 year warantee not fit for purpose.